Computers or Laptops are really one of the top gadgets in our society. You can play different games, be updated on recent news, communicate with others, and of course search in the net everything you want to know! Nintendo DS is a very nice game console. It is small that you can bring it anywhere and anytime! 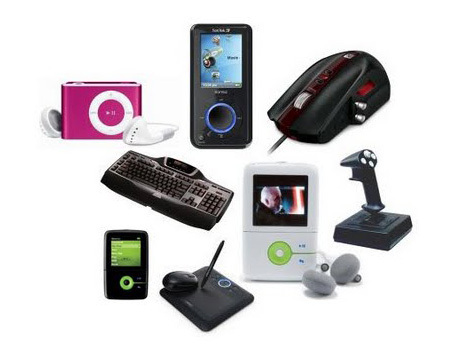 A Lot of games to play with this gadget is the main feature of this cool technology gadget. Who is not fascinated with this great and magnificent cell phone?! iPhone 4S and iPhone 5 is really a hit in the market of the 2012 top gadgets! It contains many amazing features like so many applications to enjoy with, contains high quality resolution screen, wi-fi enabled device, and so much more! Every one of us is truly amazed in this one of a kind top gadget we have in 2012! This gadget can do almost anything that you want it to do. So many cool applications, and they are very very useful in our daily lives. Truly this iPad mini is very handy in every person who have it. Why to love this outstanding and marvelous gadget released by Samsung? This top gadget of 2012 has a touchscreen as wide as 4.8 inches, has 8 megapixels in the rear camera, and 1.9 megapixels in the front camera. Not only that! It is also has a great Super AMOLED HIGH DEFINITION screen and others. It is one of the cool technology gadgets produced by Lenovo. This is simply the unity of the marvelous tablet and the amazing notebook! The gadget is available to use on the OS Windows 8, contains 8 Gigabytes of RANDOM ACCESS MEMORY (RAM) and many more! This is the upgraded version of the PlayStation Portable or PSP. The cool technology gadget has the capacity to give you a superb and wonderful graphics of games you cannot imagine for this small device. This device is really for every person who love to take pictures. One of the top gadget of 2012 and it is called the smartest camera of the world. The amazing gadget has 16 megapixels, it is Wi-Fi enabled, and runs on the Google’s Android OS and many more. This is an astonishing and incomparably wide Television for every person who loves to watch movies. The TV is well-equipped with high definition screen and experience 3D performance with this ultimate TV! Seeking quality photos and high resolution cameras? EOS-1D provides it all for you. This professional camera has 11-megapixel, operates CMOS sensor machine, it can capture incredibly up to 8 FPS, and many more! Google Chrome Browser visibility in iOS: is it true?